Who Knew Shelving Books Was So Contentious? 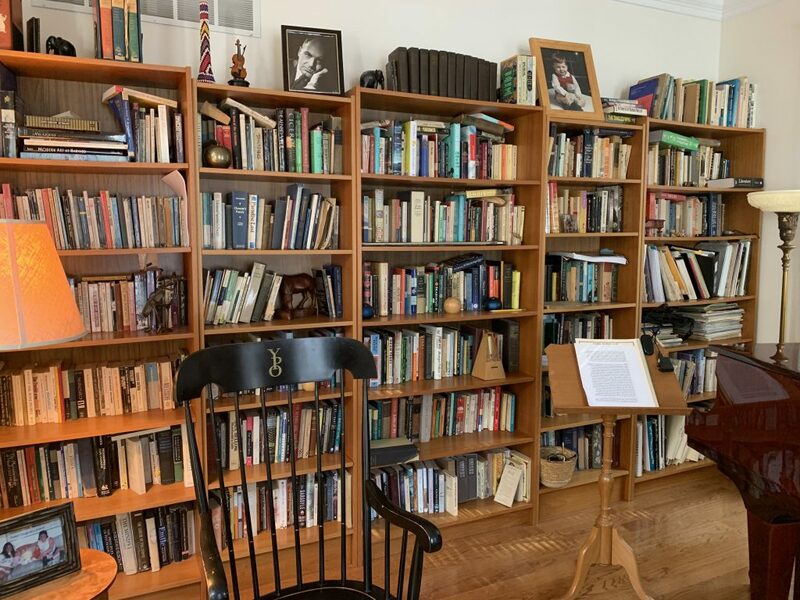 Many book lovers with home libraries spend a lot of time thinking about shelving books. Some adamantly believe all books should be alphabetized. Others insist they are most usefully organized by topic, sometimes to the point of creating a home Dewey Decimal system. Then there are people who believe that all books should be donated after use. Others want to hold onto each book forever, feeling defined and affirmed by their personal library. These people feel the way books are shelved tells the story of their lives. I ordered my books the way any normal personal would, or so I thought. Fiction went one place, and in alphabetical order by author’s name. American history books went together, as did philosophy books, poetry books, books on Ancient Greece and Rome, religion, and so forth. This system had always worked just fine for me when I was single, and when I needed a book, it was easy to find. Jim liked to order his books by writing project—his writing project, not mine. putting everything related to telecommunication politics, say, on a shelf. Some of these relationships were pretty esoteric, at least to me. 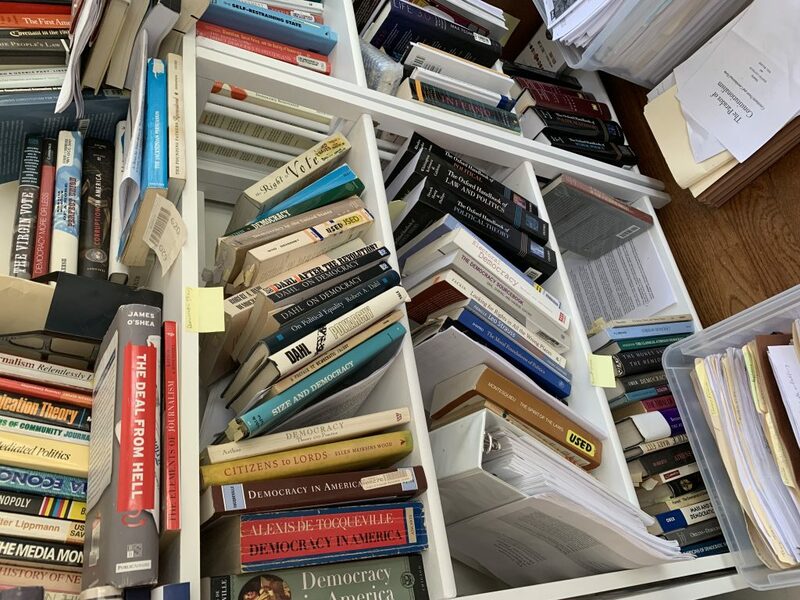 Worse, he added a post-it note to the shelf saying things like “E-Democracy” or “Ancient Greece and Rome.” He could switch these notes around as he went from project to project, reclassifying books along the way. The problem was, they were his projects, and his classifications, not mine. 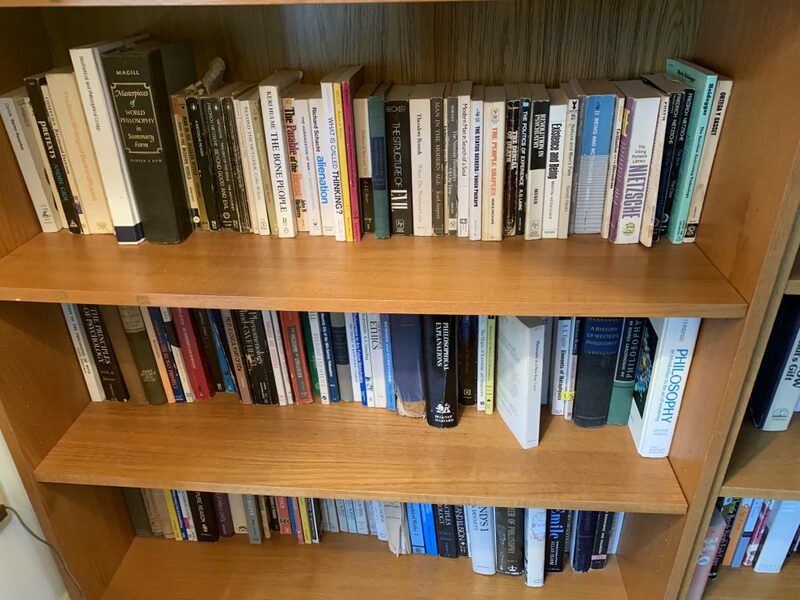 So I would find that John Stuart Mill, who I had housed under “political philosophy,” would somehow have wandered over to “spectrum policy,” or find Brave New World, which I believed belonged under fiction, with the Jim’s books on information-age politics . Their solution involves having “shared” and “protected” book space. L. has books related to science or writing in her office. S. has books related to his hobbies in his. The shared books are fiction and cookbooks. They organize fiction, like my novels, by author’s name. Novels live in the living room with the television. The shared cookbooks live in the kitchen. It gets better. They actually have a second condo in the same building that houses “overflow books.” These include extra cookbooks, travel books, gardening books, comics and humor, Judaica, poetry, plays, classics, encyclopedias, old textbooks, Sherlock Holmes, a whole shelf devoted to James Joyce, books that they hope to read someday, and books bought on impulse that they might or might not read. This “second library” covers three walls. And that’s after giving thousands of books away after moving to these condos from a larger house. I don’t think there is a perfect solution. But, please, if you have one, let me know. If I get enough good ideas—or even ideas beyond what I’ve shared here—I’ll share them next month. You can reach me via the comments section below, the contact form on my website, my Twitter account (@terraziporyn), or the Late Last Night Books Facebook page.